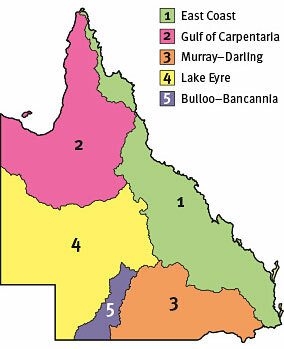 Queensland’s 5 drainage divisions (view larger image). 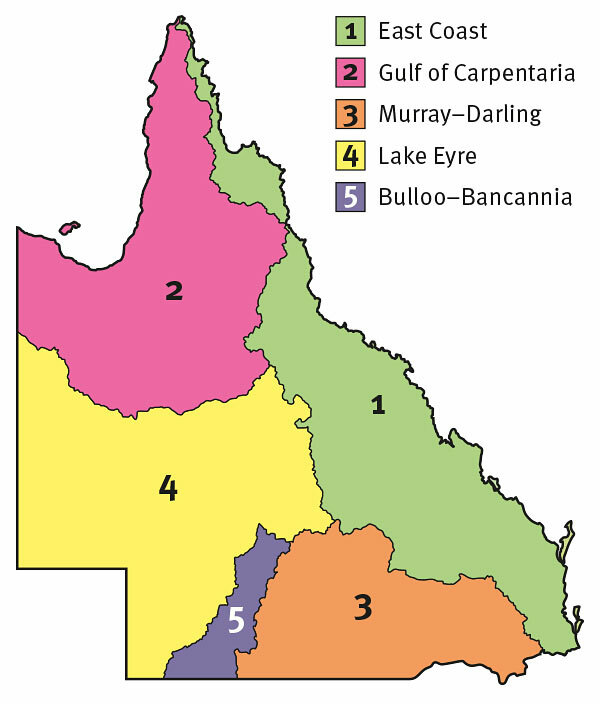 Queensland is divided into 5 main drainage divisions. The drainage division you belong to determines which species of fish you should stock in your private dam. For further advice on the most appropriate strain of fish species for your area, contact the Department of Agriculture and Fisheries (DAF) customer service centre on 13 25 23 or your local hatchery. Murray–Darling strain of golden perch can be stocked in Albert, Auburn, Balonne, Barambah, Border Rivers, Bremer, Brisbane, Burnett, Burrum, Caboolture, Condamine, Lockyer, Logan, Macintyre, Maranoa, Maroochy, Mary, Moonie, Nebine, Nogo, North Pine, Paroo, Severn, South Coast, South Pine, Stanley and Warrego river basins. Check with hatcheries within the region for the most appropriate local fish to use for stocking.